This is a vintage style triple picture. 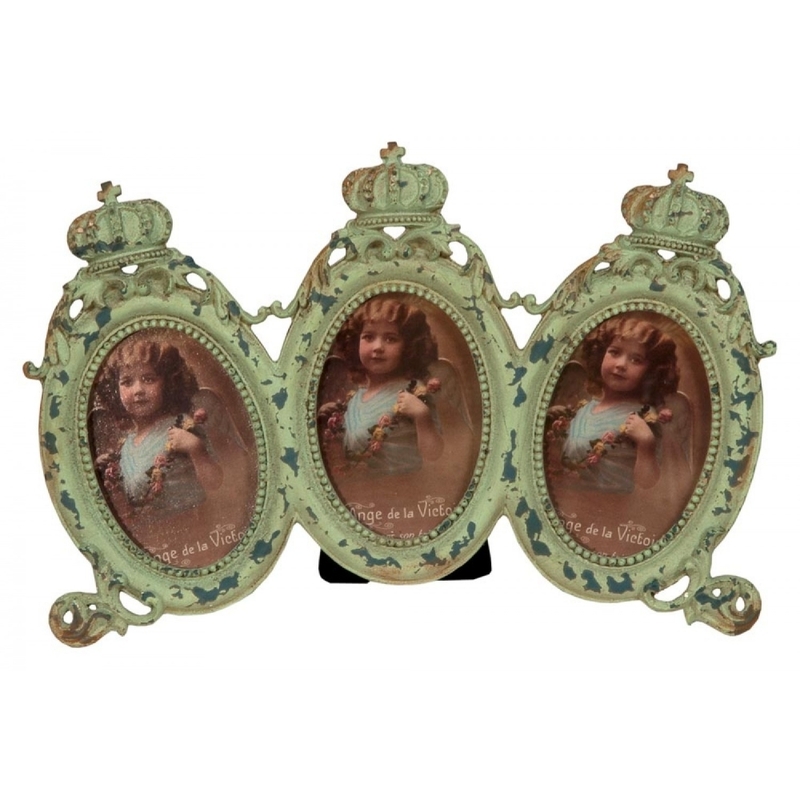 It has the vintage look and distressed finish, there are crowns on the top of all three frames. This frame is a nice pop of colour in any room.